As the present public spotlight and debates are on corruption, the country could make its utmost collective effort to expose and eliminate the scourge. When you open any daily newspaper, there are four or five corruption cases, big or small, reported almost every day. Corruption derails development, degenerates and distorts the democratic system and decay the moral fabric of society. The ultimate victims are the poor, the needy and the ordinary people. Those who can make a major contribution against corruption are not limited to one or two organizations. The media, the academics, the journalists, civil society organizations, religious leaders and the ‘leftists’ should make their consistent efforts to oppose and expose corruption, without any bias to any political party or political regime. The reason to highlight ‘leftists,’ among other political groups and formations, is their declared policy against corruption and injustices in society. Whether this is true or not in practice is still a controversial matter because of their various political alliances and ambiguous practices. Those who might make a genuine effort, like the JVP perhaps, also should not do it for pure political gain. Neglect as well as exaggerations, are not good for its elimination. Sri Lanka is in a precarious situation as the present government was elected in 2015 on a platform against corruption, among other social justice issues, nevertheless has exposed major deviations towards the same scourge with the now famous bond scam from the very beginning. One may argue that this is a repetition of 1994, when there was much talk about ‘Dushanaya and Bhishanaya’ (corruption and terror), but nothing much happened after the government was elected to power. Therefore, the public must rely more and more on independent sources to identify, expose, prosecute and eliminate corruption. Independence of the criminal investigations (CID), independence of the law enforcement, including the AG’s department, and most importantly, independence of the judiciary, are of paramount importance. There are various definitions on what is corruption. It goes very closely with bribery, but corruption is a broader ailment. There are people, including the Transparency International, who make a distinction between ‘petty’ corruption and ‘grand’ corruption. Petty corruption means the bribes that minor public servants (peons, clerks etc.) seek and obtain for survival, as they are, or feel, grossly underpaid. However, as a recent popular teledrama ‘Nethu’ has revealed about what normally happens at a local council office, it would be difficult to distinguish between the two. Jayatissa (a clerk) does not take bribes just for survival, but to live in luxury. Corruption can be a single act of bribery; it can also mean the decay of a society on those lines. What has happened or happening in Sri Lanka unfortunately are not isolated incidents, but a cancer in society. It is like what the Donoughmore Commission said about ‘communalism’ as cancer in the body politic. Corruption involves the acquisition of money, property, assets or power, surreptitiously behind the public eye. Thus, those must be uncovered and exposed. Corruption is usually illegal, however there can be weaknesses or loopholes in a legal system that allows the culprits to go scot free. It is important therefore also to use a moral compass particularly in the case of politicians. A main reason for corruption is personal or family enrichment. It can become even a habit at personal level. Temptations for corruption can be there in human beings unless those are corrected through religion, socialization, law and education. In a situation where most of the religious institutions are themselves corrupt, effective deterrent is through punishment. There is a ‘UN Convention Against Corruption’ with 71 articles adopted in 2003 during Kofi Annan’s time. In a forward to the Convention the following is what Annan said. Sri Lanka has ratified this Convention in 2004. Even otherwise, Sri Lanka has legal provisions under the Criminal Code (since 1883) and other legislation to prevent and punish bribery and corruption. According to the available information, there are three main types of corruption prevalent in Sri Lanka: (1) Bribery or seeking money, gifts or rewards for rendering public service (2) Aiding and Abetting preferred or illicit businesses in exchange of monetary or other benefits. (3) Misuse of public funds for personal or political purposes. Bribery. This category is about both politicians and public officials at the national, provincial or local level. They seek monetary rewards (bribes) for services render or to overlook official sanctions/duties, taxes etc. Bribes for public appointments by politicians is one form. Approval of contracts, including foreign deals, can be another. Even without bribes, if appointments (i.e. foreign service, official positions, consultants etc.) or contracts are awarded without merit, it is corruption. Customs and Inland Revenue are two places where major corruption might prevail at the public servants’ level. Bribery seems to be the oldest and most prevalent. During the state council period (1931-47), seven members were found guilty of rather petty corruption, nevertheless forced to resign. SWRD Bandaranaike appointed Thalagodapitiya Commission in 1959, just before his assassination and six parliamentarians were found guilty in 1960. They all had to leave politics although the alleged corruptions were minor. During 1970s, there were many allegations, but no proper inquiries were conducted as politics prevailed over the public service. Aiding and Abetting. This is about politicians or officials assisting preferred or illicit businesses in seeking monetary or other rewards. The complicity in these activities can be direct or in the form of policy waver, de-regulation and information leaking. The recent bond scam as well as the former PM allegedly issuing a letter to the customs on behalf of a drug trafficker can be in this category. A direct involvement was when a deputy minister after 1977 was arrested for attempting to smuggle gold bars misusing his official status. This type of corruption of aiding and abetting has become rampant under neo-liberalism and with various attempts to promote the economy and the businesses almost under any means. 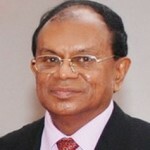 During the attempted impeachment against President R. Premadasa, there were major allegations on both sides, but no action was taken. The trend has continued until today. Some of the focal points where these can happen are the Stock Exchange, Central Bank, other banks, bond sales and the BOI. Most of the adverse effects are not only in the economy, but also in the moral fabric of society. Misuse of Public Funds. Presidential system and large cabinets are major reasons for the waste and misuse of public funds. This is further to bribery. President’s office is expensive and prone to misuse. Whether this has significantly changed is yet to be seen. Ministers and deputies employ family and friends as entourage. Expenses on and misuse of luxury vehicles, fuel, security and travel expenses are colossal. There is no clear demarcation between official work and party work. Some of the perks go even to the opposition members of parliament. This appears a collective swindling of public funds. Continuity in office of presidents or governments, without change, is one reason for this misuse with perceived impunity. The worst period of this misuse perhaps was the second term of President Rajapaksa believing that he would win a third term under the amended constitution. This was the case whether the former first lady allegedly spending staggering amount of money attending a UNESCO celebration in Paris or the President’s secretary distributing Sil Redi (white cloth) from telecommunication funds for political purposes. There seems to be three major sources that feed and nourish the three main types of corruption in the country. (1) Political degeneration accompanied with the presidential system and electoral procedures. (2) Neo-liberal economic policies. (3) Moral degeneration of the society at large. Political Degeneration. Whatever criteria you use to compare the early independence period and the present-day politics, the degeneration is quite marked (from +2 to -6) on all fronts. Presidential system or authoritarianism is at the centre of this degeneration as the President’s usually protects (if not directly indulge in!) the perpetrators. This can be the same under an Executive Prime Ministerial system. Past President’s allegedly kept files (JR and MR) to politically control the perpetrators, without taking action against them. Politicians wanted colossal amounts of money to contest districts (not wards) under the new electoral (preferential) system. The same goes for the presidential candidates. This has created a close nexus between politicians and dubious business dealers. Politicians today are not the calibre of people that the country had seen early after independence or before. This is not an isolated result, but part and parcel of a degeneration of the political party system. Interests of the leaders and their financial backers have become predominant than the party members or the supporters. Party organizers are mostly thugs, almost by necessity. Party policies and programmes have taken a backstage. Neo-liberalism. Present economic thinking and neo-liberalism exonerate politicians from public duty. Business is the only engine of growth, they argue. Therefore, why not curry favour with businesses? The beneficiaries of such political ‘patronage’ are not the established or decent business establishments, but the new and quick money makers in dubious businesses. Established businesses are rather at a disadvantage; politicians trying to exploit them. The neglect of the public sector, the ministries and departments is justified under neo-liberalism. De-regulation and political directives have given rise to misuse of budget allocations for ministries. Welfare funds (Samurdhi or Divineguma) are often used for political purposes. Although the government has changed, the neo-liberal ideology has not changed. Most politicians today are money minded. A doctrine has emerged that politics is a major way of money making. As part of this process, after achieving power in the national government, provincial councils or even local governments, the politicians misuse public funds to further their political advancement or party activities. Neo-liberalism or neo-liberal thinking, in its Sri Lankan form, is largely to blame for rampant corruption. A moral degeneration has penetrated the society at large. That is how corruption survives. Instead of common good or social justice, self-preservation and monetary advancement have taken priority among the people. Major manifestations of this degeneration are increased interpersonal deception, cheating, intolerance, conflicts, crime and violence. Newspapers and teledramas are abundant of these stories. Some of the international trends have influenced the situation. Not only the political and economic changes, as outlined before, but also the past civil war (1983-2009) has influenced the breakdown. There is no difference in the North or the South. Religions are still dominant, but more in terms of identity or rituals, than of moral doctrines. There are over 50,000 preachers or priests of all religions; most of them are also corrupt. Population explosion, changes in vocations and employment have made the society more complex and complicated. A major failure has been in the educational system and the family institution. Value education has not progressed parallel to the formal (market) education. There is a crisis in education. People may accept that corruption is wrong, but still the opposition is lukewarm. Only recently there are signs of change. The purpose of this article was to identify three main facets of corruption and three main socio-political sources that exacerbate them. It is beyond this attempt to propose or identify solutions in a detailed fashion. Eternal vigilance however can go a long way in countering corruption in any society. Education is also necessary. This is a role that should be played by the media, the journalists, academics, civil society organizations and opposition political parties and groups. UN Convention Against Corruption (CAC) and the work of the Transparency International (TI) can be considered a boon to these efforts. There are areas, like money laundering and drug trafficking, where international cooperation is directly necessary. Sri Lanka now appears to have necessary institutional mechanisms to investigate and punish the perpetrators. Impunity should be stopped. The number of major cases at present however are over 100 and appear legally and politically complicated. In addition to the Parliamentary Committee on Public Enterprises (COPE) and the Commission on Bribery or Corruption (CIABOC), now there is the Financial Crimes Investigations Division (FCID) of the Police. The Presidential Commission on Central Bank Bon Issue has also proceeded, so far, extremely well and could be a future model for politically related corruption cases. The major tasks, however, are with the Auditor General’s Department and the Attorney General’s Department. These are and should be independent from political interferences. Nevertheless, they must respond positively to the public expectations on corruption investigations and due punishments to the perpetrators. One concrete proposal could be to set up a Special Division on Corruption at the Attorney General’s Department to expedite necessary investigations and prosecutions. While agreeing with nearly all that you have said, I still think you have missed a major point and I don’t think you have touched on the question of reform. We are corrupt because most of us are comfortable with certain regular categories of abuse, and are in no position to protest about corruption in general, even if we care. That is why we could expect very little from glorified entities such as academics and religious leaders. There is, I am led to believe, a potent form of social networking that covers all the higher levels of society including our ministers, courts and universities. Anyone who steps out of line to expose abuse is shot down by common consent. In the universities for example, becoming a professor means a significantly higher level of salary and status. In reality there is widespread cheating (for instance the so-called pirate journals that publish any paper for a fee) and a culture of sycophancy to keep the authorities on their side. A person stepping out of line could expect the most unusual punishments – such as being vacated post while on leave. Vice Chancellors, the executives of universities, who are essentially political appointees, are so well protected that, from what I have seen, in challenging a vice chancellor over blatant abuse, one would get very little help from the politicians, the UGC or the courts. The system is, as one might say, taped. we need more of Sarath fonseka like personalities to save this nation. “They are not crimes that the army has to be collectively responsible for but they are isolated incidents committed by a few individuals. We need to reveal those incidents and punish those involved,” he said and added that if proper action was not taken within the country, the UN and the Security Council could do so according to international conventions. Thanks for the comments and appreciate your points. Of course, Reform should play a major role in institutional change to get rid of corruption in many places. Yes, we are corrupt, because institutions are corrupt; institutions are corrupt, because we are corrupt. Unravelling the situation however could start from pressing and pushing for proper investigations on presently highlighted cases. That was my purpose. It may be possible that we could expect very little from, as you say, the ‘glorified entities such as academics and religious leaders.’ You made a similar point once before. In my view, we should attempt all possible avenues. Not only academics and religious leaders, but also the civil society organizations, the media, the journalists would come under this uncertain category. I do have my own experience within the university system, working in three universities and therefore, your observations are correct. However, there can be or are others who can make at least a partial difference. If we become too ‘puritan,’ there is nothing much we can do. We will only become frustrated. Our ‘puritanism’ also could be tainted with subjectivity. Honorary doctorate were bestowed on two alleged war criminals by a leading university of this island. What was the hurry, forgetting their contribution to war crimes, human rights violations and theft of national wealth? The three Sanghas individually honoured both of them with extraordinary honours by inventing new titles in Sanskrit. Perverted nationalism continues to glorify and give sustenance to fascists of this island since the advent of Anagarika, the homeless one. It is nearly impossible to eliminate corruption with obstructions to justice downward from the President. They all want selective justice and always intefere in the investigations when suspects are their allys. Some one should draft and propose a law to punishe any attempt to obstruct justice including the interferece with investigations, even if it is done by the President. A similar law exists in the USA. Humans is the only species with dishonesty as part of life survival skills. We have had despots and tyrants controlling us. Then came Democracy sold as the way to achieve ordered life. Under the “first past the post” system, the views of minorities were often ignored. Various forms of “list-representatives” were tried. 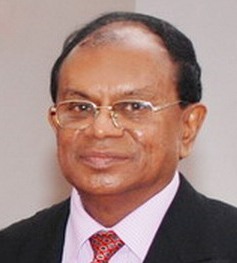 In SL, the governing has been by one of two groups of the breed of “Professional politicians”. The list MPs and later MPs has become tradable commodities. This leads to corruption which leads to nepotism and breakdown of law and order. People are getting used “corruption” as mega-mega embezzlement – small scale corruption as pocket money. We nay look at outlawing the cross over of list MPs. Also higher appointments in the higher rungs of officers entrusted with prosecuting, be scrutinised by a parliamentary select committee. Why is that South Eastern Countries are more corrupt than the other countries. Sri Lanka got Independence by corrupt means, by bribing the occupied nation. Therefore corruption was the beginning of the Sri Lankan establishment. Corruption leads from the top to the bottom level. Therefore it is rampant and it will continue unless a true patriotic dictator takes over the land. Hang all the politicians by their neck in public. In simple words “power corrupts”..
Sellam: How is it in your motherland. How Was Amma -Jayalalitha becme rich and How did Karunanidhi become rich. How did Velupillei PAbakaran enjoy luxury. Did you eear it rightfully or just bank robbereis and smuggling etc.,? While Colombo University former corruptive VC creating family dept in Arts faculty and robbing billions Rs. out of tax payers money you gave full cover-ups for that. Now you do not have any right to talk about corruption. I think to reduce corruption the size of the govt should be reduced to 25% and get rid of all inefficiencies. Salaries of the remaining should be doubled. Do all transaction with Govt electronically or in writing. Record all telephone coversations. I am disappointed that you have not mentioned anything about the proposed National Audit Act to give teeth to the Audit commission established in terms of the 19th Amendment. The National Audit Act was promised during the last Presidential and General election. The adoption of the Act was expected to strengthen the capacity of Parliament to safeguard public funds and ensure their proper utilization. 19 Amendment is not the end, but the beginning. Let us have a powerful independent Auditor General. It will also strengthen the hands of the Auditor General in relation to the above. A National Audit Office will also be set up to help the Auditor General to carry out the functions. The Act will at least facilitate the oversight Committees to arrest corrupt practices in the Public Sector. is it because the government is trying to bring in a watered down version to hoodwink the people?